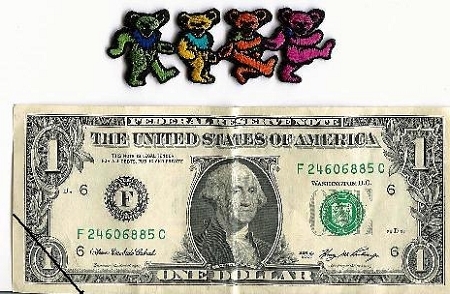 This Grateful Dead Dancing Bears patch is approx. 1" x 3". Can be ironed on or sewn on. Officially licensed Grateful Dead merchandise.